There’s nothing like an in home pamper session to leave you feeling relaxed and rejuvenated. Now you can treat your feet to the ultimate DIY pedicure treatment with the new Linden Leaves Pedikit. Containing a Foot Soak, Foot Reviver, Foot Scrub and Foot Massage Cream, it’s perfect for a pre-party pick me up or a fun girl’s night in. SKU: LLPEDIKIT. 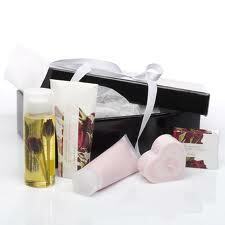 Categories: Beauty, Body Care, Gift Ideas, Gifts for Her, Gifts for Under $50. Treat your hard working, weary feet to a luxury treatment with the beautifully packaged Linden Leaves footcare pedikit. Start by adding a few drops of the rice bran oil foot soak to a bowl of water or foot spa and immerse your feet to soften hardened skin. Remove feet, towel dry and exfoliate by massaging with the foot scrub. 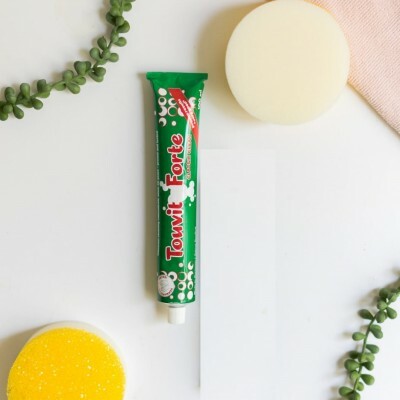 The pumice granules and finely ground apricot seed will work their magic while the essential oils of sage and lemongrass will stimulate circulation for healthy feet. Cleanse and massage with the foot massage cream, enriched with pure grapeseed oil, cocoa and shea butters and beeswax. The foot reviver is ideal travel companion, or a refreshing friend at the end of a long day. Kick of your shoes and lightly spritz – for added coolness, keep in the fridge. Be the first to review “Linden Leaves Pedikit” Click here to cancel reply.